Our blog - INFObytes, is an endeavor to contain, share and propagate ideas from Analytics enthusiasts and evangelists. If you live and breath Analytics, you have found your ultimate destination. Be ready to indulge in opinions and float in a pool of ideas. Business Intelligence, Big Data Analytics and Data Science blogs. With the spike in the capabilities of Alteryx updated in version 10, we bring to you an all new 'A PRACTITIONER’S GUIDE TO ALTERYX'. Enriched and loaded with the information on the upgraded competencies of Alteryx, the new book is a perfect assistance to make you master the newer, better, improved Alteryx 10. Detailed whitepapers discussing the challenges faced by businesses while dealing with data, along with fixes. These papers cover a wide array of topics from the world of Business Intelligence, Big Data, IT Infrastructure management services etc along with a niche focus on Tableau, Alteryx, Snowflake and similar products/services. On-demand demos on web data connectors for Tableau, business ready Alteryx workflows and creating actionable Tableau dashboards. Case studies discussing how USEReady helps its customers be successful in their endeavors with Tableau, Alteryx, Snowflake etc. 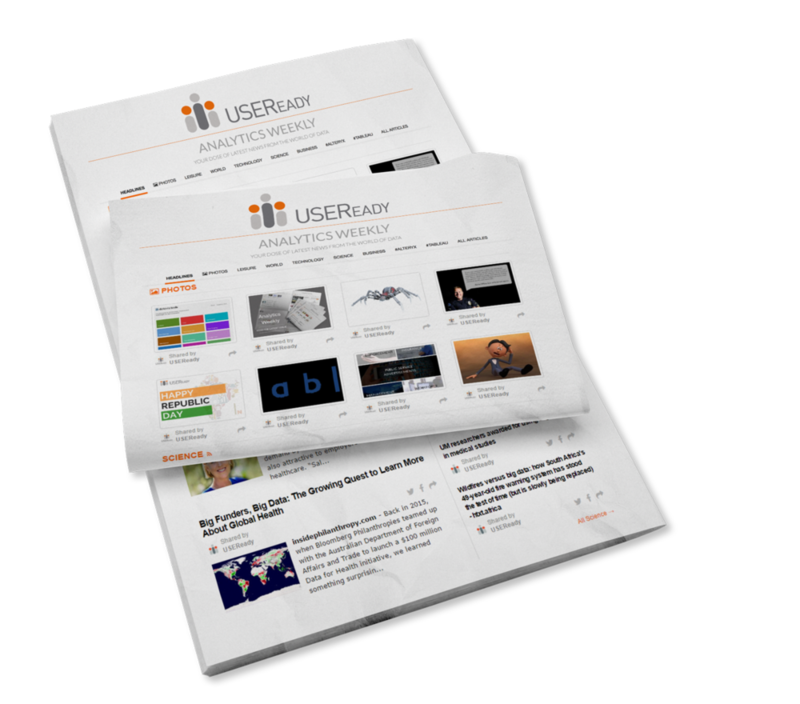 With exclusive staffing solutions for Business Intelligence and IT infrastructure services, USEReady offers incessant support to its customers. We have compiled some beautiful data visualizations for you to explore and play around with. Each dashboard represents a different industry, type, feature, and style. These visualizations are examples of how data can be transformed into comprehensive visuals that incorporate both sense-making and communication. A weekly newsletter that brings news, updates and the latest happenings from the world of big data, analytics, business intelligence and data science straight to your mailbox.